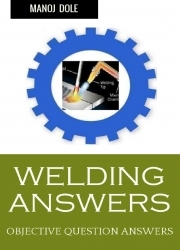 Description of "Welding Answers (eBook)"
WELDING ANSWERS is a simple e-Book with all about- the latest & Important Welding Machines, Hand Tools & Instruments used in Engineering & ITI courses like Welder, Fitter & Tool & Die Maker. It contains objective questions with underlined & bold correct answers & -Images covering all topics including different types of Welding Machines, Hand Tools, Measuring Instrument, Machine Tools, Accessories and lots more. We add new question answers with each new version. Please email us in case of any errors/omissions. This is arguably the largest and best e-Book for All engineering multiple choice questions and answers. As a student you can use it for your exam prep. This e-Book is also - useful for professors to refresh material. Reviews of "Welding Answers (eBook)"